← Labour Party Leadership Election: What Kind of Party is Necessary in a Modern Democracy? The downgrading of South Tyneside Hospital was announced as part of an “alliance” between South Tyneside NHS Foundation Trust (STFT) and City Hospitals Sunderland (CHS). If this downgrading were to go ahead, it would result in the loss of acute services for South Tyneside and also for Sunderland whose access to acute services would also be under pressure by the closure of those services in South Tyneside. The “alliance” plans to move all acute services from South Tyneside to Sunderland, which would make South Tyneside Hospital A&E unsustainable. The immediate threat is the loss of acute stroke services and maternity in South Tyneside. The NHS England plan is to reduce more than 10 A&Es in the north east of England down to four or five. 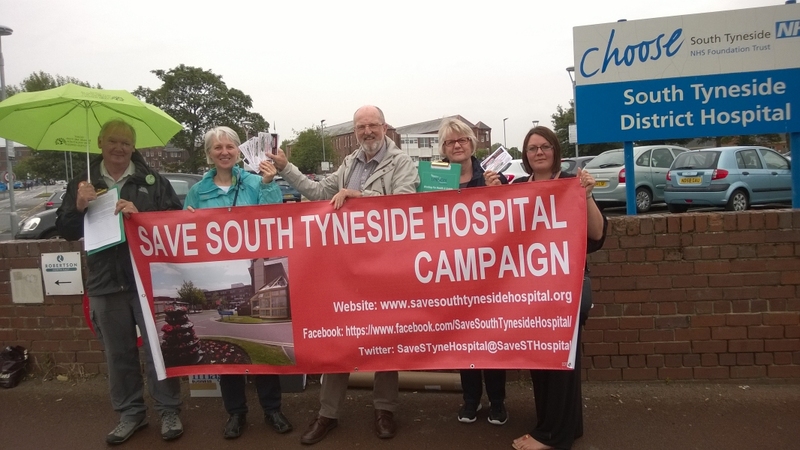 Its result would be to leave South Tyneside with essentially a rehabilitation hospital, while anyone needing acute health care would have to travel to Sunderland or Newcastle. These downgrading plans have a familiar ring to them. The fight to save hospitals which serve the needs of local people has up and down the country begun with such cuts, often under the spurious grounds of financial difficulties or sustainability, or even the pursuit of excellence in specialist hospitals. The rate at which such plans are being pushed through has escalated with NHS England’s Five Year Forward View, and its associated division of England into 44 STP (Sustainability and Transformation Plan) “footprints”. The downgrading of South Tyneside Hospital is consistent with the direction in which the government is taking the NHS. It is deliberately reducing NHS funding both for front-line health services and other human resource needs. This process is wrecking the NHS by fragmenting it into purchasers and providers, closing acute hospitals and A&E departments. It is facilitating the takeover of the most profitable services by private health companies. This continued direction is reflected in the alliance between STFT and CHS with the aim of closing acute services at South Tyneside Hospital. The SSTHC is acting to unite people in action in the campaign irrespective of political opinion. Its stand is to safeguard the future of South Tyneside Hospital and its acute and emergency services. The Campaign upholds that access to health care is a right of all in a modern society, and it demands that this right must be guaranteed. We demand the reverse of 25 years of marketisation in the NHS and the abolishment of the purchaser/provider split, and an end to contracting, and to establish public bodies and public services accountable to local communities. 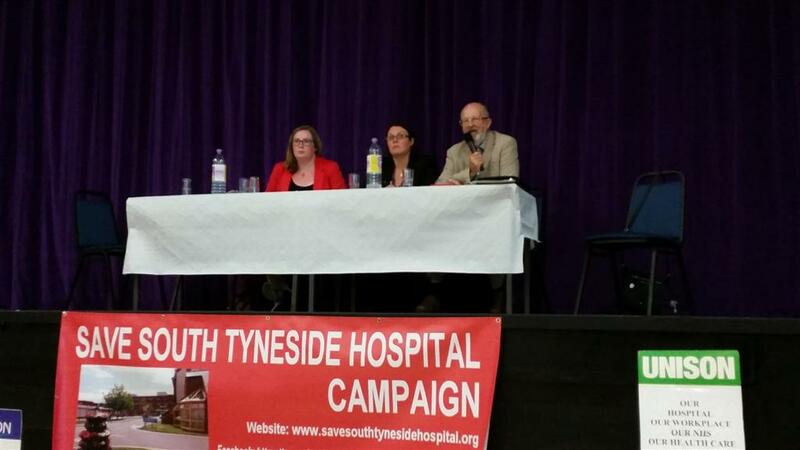 MP Emma Lewell-Buck organised a meeting in South Shields on August 15 with the support of the Save South Tyneside Hospital Campaign and Unison’s Public Service Alliance. Nearly 200 people including clinicians, staff from the hospital, people from South Tyneside and some residents of Sunderland attended the meeting in the Brinkburn Community Centre in South Shields, which was characterised by the enthusiastic support to build the campaign so that acute and emergency services remain at South Tyneside Hospital. Unison area organiser and the Save South Tyneside Hospital Campaign organiser Gemma Taylor spoke, outlining the origins of the SSTHC coming out of the concern of local people and the Public Service Alliance of local trade unions. She said, “What gave rise to our concerns was that this alliance was formed without any public consultation and the announcement that the South Tyneside Foundation Trust would deliver more of the rehabilitation, screening and diagnostics and that City Hospitals Sunderland would deliver more of the acute and emergency services. 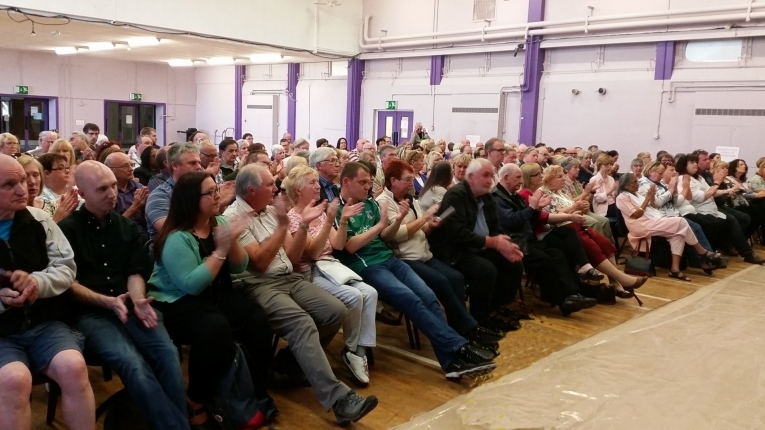 We all know that if a hospital does not have acute services, it will make the A&E unviable.” She said that the campaign is working very closely with the two local MPs to protect acute and emergency services. 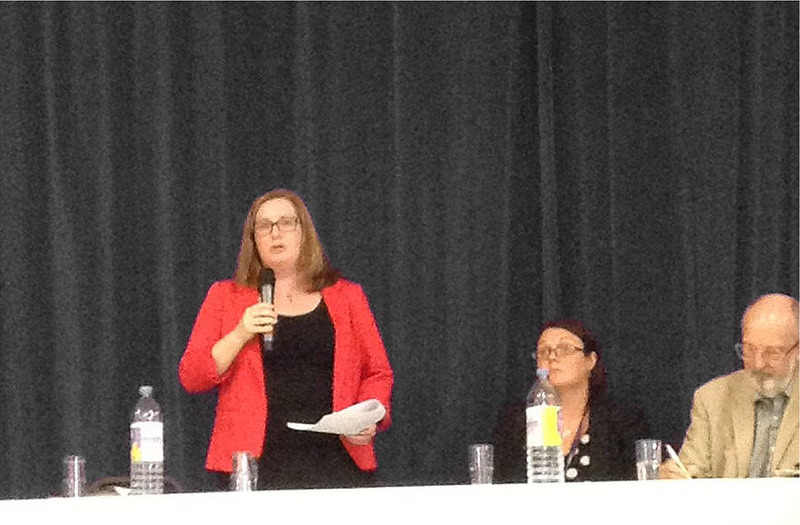 Gemma concluded by asking the floor to stand united with the campaign and to get involved.